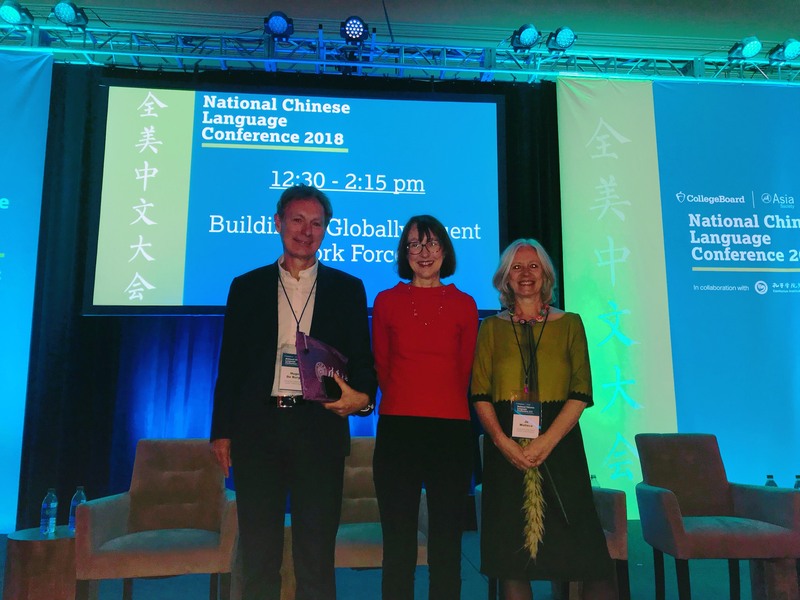 Our Chairman, Professor Hugo de Burgh, our Head Mrs Jo Wallace, our Chinese curriculum consultant, Wang loashi and one of our governors, Ms Katharine Carruthers, have just returned from three inspiring days spent at the National Chinese Language Conference in Salt Lake City. Organised by the Asia Society, the delegates had the opportunity to listen to presentations by eminent figures in the world of Mandarin education; indeed, our own Katharine Carruthers was one of the presenters. In addition to meeting fellow educators and publishers of educational material, the delegates had the opportunity to tour several immersive bi-lingual Anglo/Chinese schools in the state. Mrs Wallace said that they have all learned so much and look forward to implementing new ideas and strategies as the school moves forward.